An unlikely legal showdown is taking place in southeastern Los Angeles County over one of the largest remaining tracts of open, developable land in the region. The pristine 2,450-acre Tres Hermanos Ranch, a golden, hilly landscape sandwiched between the suburban communities of Diamond Bar, Industry, Commerce, and Chino Hills, has been in legal limbo ever since former California governor Jerry Brown disbanded the state’s Redevelopment Agencies in the aftermath of the Great Recession. Before 2011, the City of Industry controlled the ranch through a local Redevelopment Agency. As the agency was dissolved, a plan, approved last year by the state Department of Finance, emerged to allow Industry to buy the ranch outright. But disagreements over how the land can be used once it is sold have touched off legal fights in the area, precluding the completion of the sale. Initially, Industry officials were in talks with a San Diego–area utility provider to create a large-scale solar farm on the land. 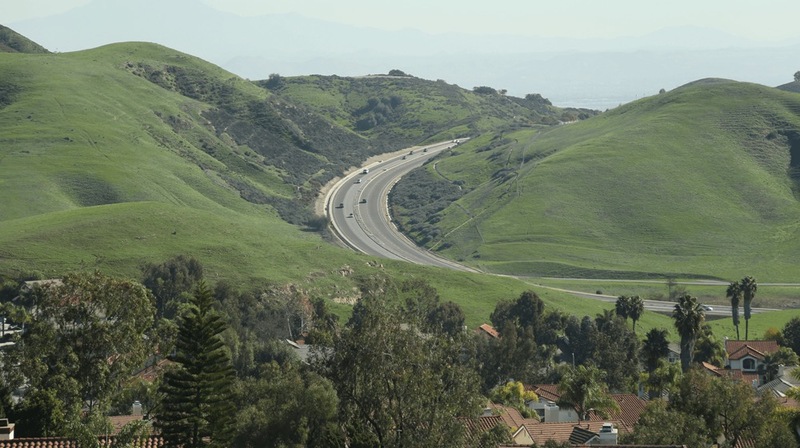 As the plan came to light, officials from Diamond Bar and Chino Hills sued Industry, alleging that the plan violated land-use and environmental laws and that they sought to keep portions of the site free from development. As a matter of compromise, the three cities had agreed to divide up control over the parcel and were in the process of hammering out a deal when the City of Commerce stepped in with a plan of its own. The Orange County Register reported that Commerce has asked the Los Angeles County Oversight Board to sell it the property, instead. According to the report, Commerce argues that Industry waived its first right to the property by not completing the initial sale approved by the Department of Finance and that as a result, the land should be sold to Commerce. With this latest bid for the site, other potential buyers have come forward as well, including a developer with plans to build suburban tract housing on the site. Michael Kapp, communications director for Hilda Solis, the L.A. County supervisor for the district that includes Tres Hermanos Ranch, told The Orange County Register that Commerce was in the wrong and that the right to purchase still sat with City of Industry, “who holds a right of first purchase for the sale of the property.” Kapp added, “Furthermore, even if Industry should reject the sale under the original agreement, the sale cannot be simply substituted or transferred to another jurisdiction, it would have to go out to public bid.” So far unresolved, the episode illustrates the complicated, lengthy, and fraught relationship between land development and landscape preservation in Southern California. The situation is mirrored 50 miles to the northwest, where the fire-prone Tejon Ranch in northern Los Angeles County is slated for a new 19,000 home community. There, developer Tejon Ranch Company is angling for approval from the L.A. County Board of Supervisors to bring the large master-planned project to life on privately-owned wildland. Amid a growing concern over the spread of development into wild areas across California following recent destructive fires and renewed efforts to curb sprawl and boost urban density, development at the fringes of Los Angeles continues, at least for now. As the Woolsey and Camp Fires continue to burn across California, razing a combined total of nearly 250,000 acres and destroying entire towns, celebrities are turning to private firefighting teams to keep their homes safe. Kanye West and Kim Kardashian reportedly hired a team of private firefighters to save their $60 million mansion in Hidden Hills, protecting the rest of the neighborhood in the process. Big insurance companies like Chubb and AIG offer firefighting services to high-rolling clients as preventative measures. As The Atlantic noted, Wildfire Defense Systems, a private company from Montana, currently has 53 fire engines on the ground in California and is working to safeguard 1,000 homes. 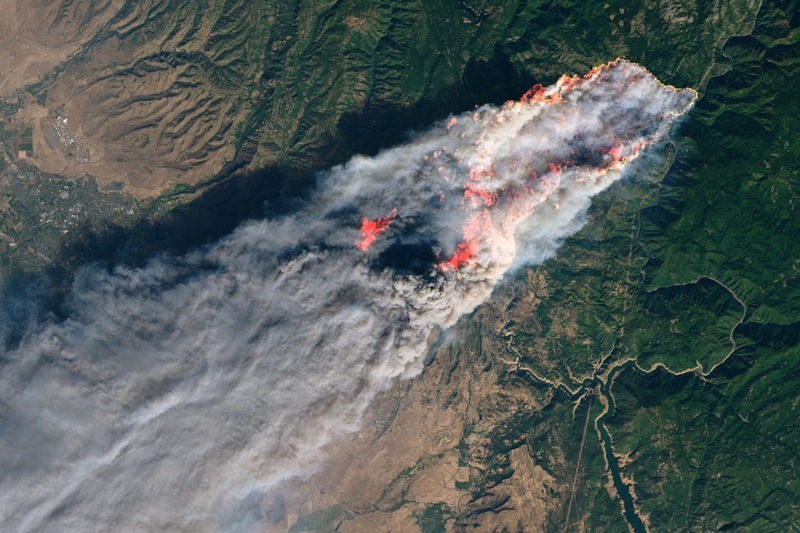 At a time when climate change-accelerated wildfires are occurring year-round, the privatization of a form of public infrastructure has become more commonplace as well. West and Kardashian first picked up the 15,000-square-foot mansion in 2014 for $20 million, and it’s estimated that the power couple has sunk another $20 million in renovations into the property. Belgian interior designer and staid space enthusiast Axel Vervoordt has been collaborating on the house’s interior, and West revealed a sneak peek of the highly-structural space back in April during a Twitter meltdown. 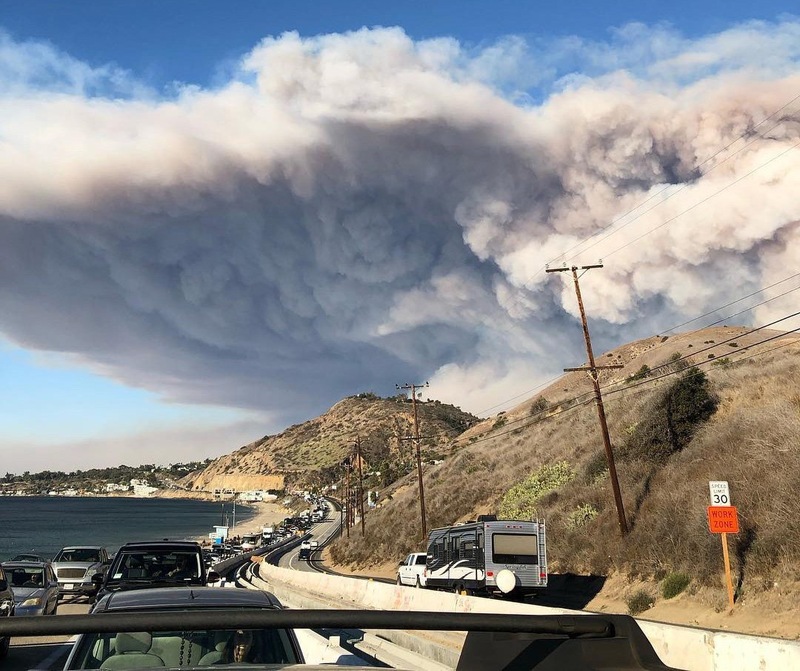 The couple’s private fire team was able to prevent the encroaching Woolsey Fire from reaching a heavily forested field behind their property by digging fire breaks. Because the house sits at the back of a cul-de-sac, it’s likely that a meltdown at the West-Kardashian mansion would have spread to the rest of the block afterward. The privatized history of firefighting in America is well known, dating back to when roving bands of firefighters used to squabble for territory throughout the 1800s; the first responders to put out a fire were the ones rewarded by the insurance companies. Those competitions often saw squads setting fires to intentionally throw off their rivals, but the practice thankfully died out in the second half of the 19th century as government ownership became the norm. A decision in 2010 by firefighters in rural Tennessee to let a house burn down because the owner forgot to pay a $75 fee drew national scorn, but privatized firefighting services are coming back in a big way. The National Wildfire Suppression Association, a group that offers (and lobbies for) private firefighting services currently represents more than 10,000 employees and 150 wildfire contract service companies. It’s estimated that it can cost insurance companies at least $10,000 to send a private team into the field, putting the service far out of the reach of most homeowners. Thanks to the encroachment of the urban environment into wilderness areas, and dry conditions and higher temperatures caused by climate change, the era of megafires in California may be here to stay. But whether the protection afforded to the megawealthy, normally thought of as a common good, remains out of reach for the masses will remain an open question as these fires only become more prevalent.